Inspired by conversations on the FOOD52 Hotline, we're sharing tips and tricks that make navigating all of our kitchens easier and more fun. Today: four, foolproof ways to brighten any dish. If pastas, sauces, and vinaigrettes are the little black dresses of the kitchen -- behaving when you need them, trusty and practiced blank slates -- then capers, anchovies, preserved lemons, and mustard are the bold necklaces, the red lipstick, and the fancy shoes to go with them. Part condiment, part preserved food, these dish-brighteners are all standing by in the door of your fridge, at the ready to add a punch of flavor to a dish that otherwise lacks personality. Today, we’re taking you through four that will save any dish from blandness. Want a little salt with that? Our answer is usually a resounding yes. 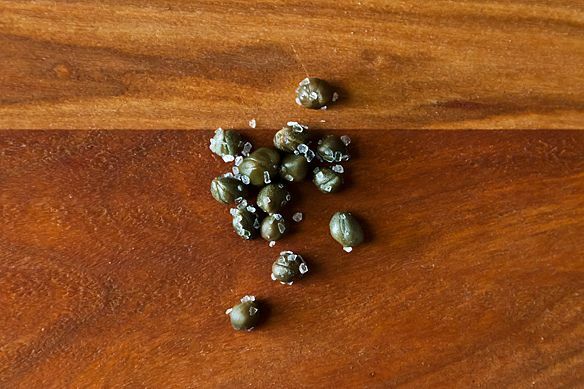 If you want to add brininess with a little more flavor contour than salt, try capers. Technically, they are the unripened flower buds of a caper bush that have been dried and then pickled in a vinegary brine or packed in salt (we like those best). Track them down in the pickle aisle, take them home, and then work magic on salads, dressings, and pasta at will. But be sure to rinse their extra salt or brine off before you use them, or you might over-salt your food. Store brined capers in your fridge once you’ve opened them, and feel free to leave the salt packed kind in your pantry -- they’ll last at least as long as it takes you to get through the jar. Actually, we say bring them on! Then add some more. The small, silvery Mediterranean fishes come salt cured and canned in oil, and add a reliable burst of pungent flavor where flavor lacks. They go particularly well in beef stew, or lightly chopped and added to vinaigrettes and pasta sauces. 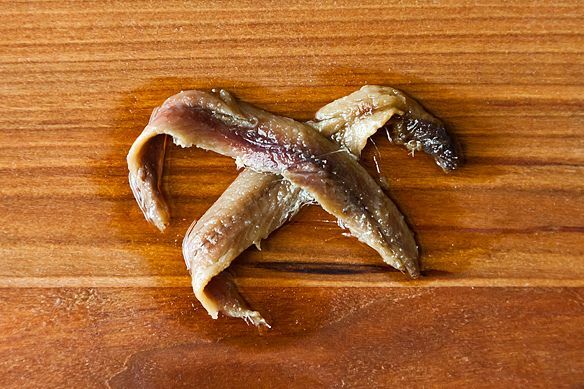 But our favorite, go-to anchovy crutch? Bagna Cauda. It will transform anything it comes in contact with. Canned, these little guys will last for up to a year. Once opened, though, they’ll last for two months, so long as they’re covered in their oil. With preserved lemons, pure, pungent brine is replaced with a lighter, citrusy acid. Made by salt-curing lemons (peels and all), these are a staple in Moroccan cooking, and as such, are practically made for couscous. Curing mellows the rind, too, so you can chop that up and add it to rice dishes at the end of the cooking process. They also happen to make a bang-up pesto. You can easily make your own (using a ½ cup of salt for every 8-10 lemons, halved, and then jar for up to two months), or you can find them at Middle Eastern or gourmet grocery stores. 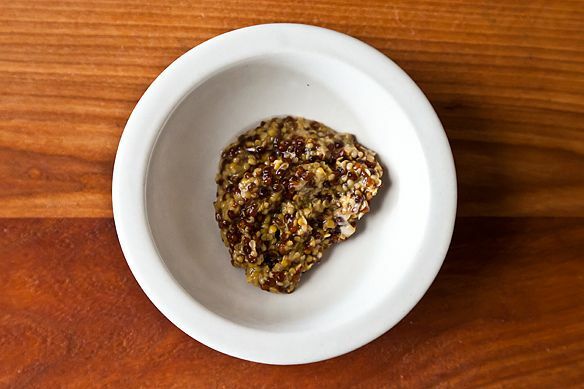 It’s not the one-trick pony you thought it was: when added to dressings and sauces, mustard -- a little willful, potent, and the slightest bit spicy -- adds a welcome kick and a little more depth, elevating your food from the one dimensional fare it was before. Most of you probably know that this condiment is made from the seeds of the mustard plant, but did you know that it makes for a velvety, French-style sauce over chicken? Or that you can make it yourself? Or, one better, that it will long outlive most things you have in your fridge now? One jar, opened and stored in the fridge, will flavor your food for up to a year. What are your go-to dish-brighteners? Tell us in the comments! I make Panzanella all the time in the summer using Sparrow Lane Champagne Vinegar. I keep two bottles on hand for fear of running out! Ditto to all of the above (especially the capers), but I also like just a squeeze of fresh lime juice right before serving. Works with almost anything containing chilies and/or cilantro. You will find all four of these "brighteners" in my kitchen, all the time. I especially love salt packed capers and good anchovies. Operative term, "good anchovies" not the poor tinned ones from Morocco which I refer to as pizza anchovies. I sneak the good ones into everything. They add a remarkable bottom flavor. 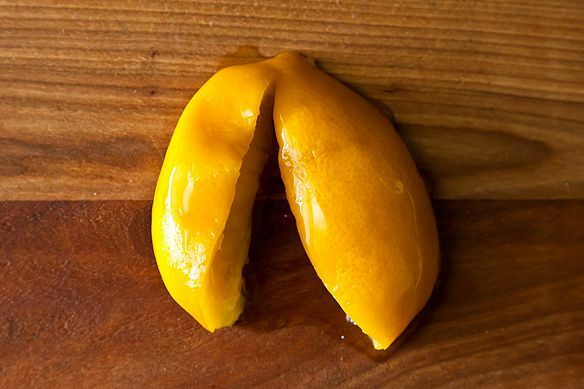 I used to snack on preserved lemons from work all the time. I miss them so! Hubby is also on his way back from the store right now with anchovies so I can put them all over the pizza I'm making tonight! /so excited! My husband will eat NONE of these. If I even grate a little lemon zest into something, he pronounces it "too lemony." Don't get me started on mustard, capers (which he thinks taste like mustard) and anchovies. Oh, no! How about olives? Soy sauce? Olives, no. (A thousand times no.) Soy sauce, yes. Olives, yes... and yes I said yes I will Yes. Soy sauce... meh.... OK, yes. Maybe. Great call. My red wine vinegar gets a fair amount of exercise, too. Champagne or sherry vinegar - I use these almost daily.